In just 196 short aphorisms, The Yoga Sutra of Patanjali, a classic work of Indian philosophy, spells out succinctly how the mind works, and how it is possible to use the mind to attain liberation. Compiled in the second or third century C.E., the Yoga-Sutra is a road map of human consciousness - and a particularly helpful guide to the mind states one encounters in meditation, yoga and other spiritual practices. It expresses the truths of the human condition with great eloquence: how we know what we know, why we suffer, and how we can discover a way out of the suffering. Chip Hartranft's fresh translation and extensive, lucid commentary, bring the text beautifully to life. 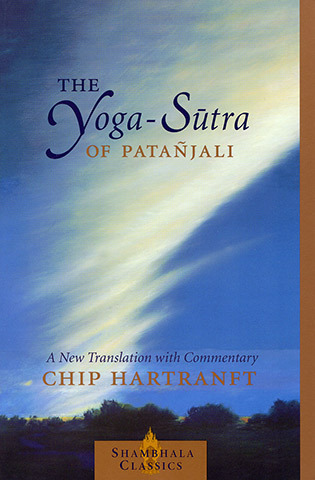 He also provides useful auxiliary materials, including an afterword on the legacy of the Yoga-Sutra and its relevance to us today.